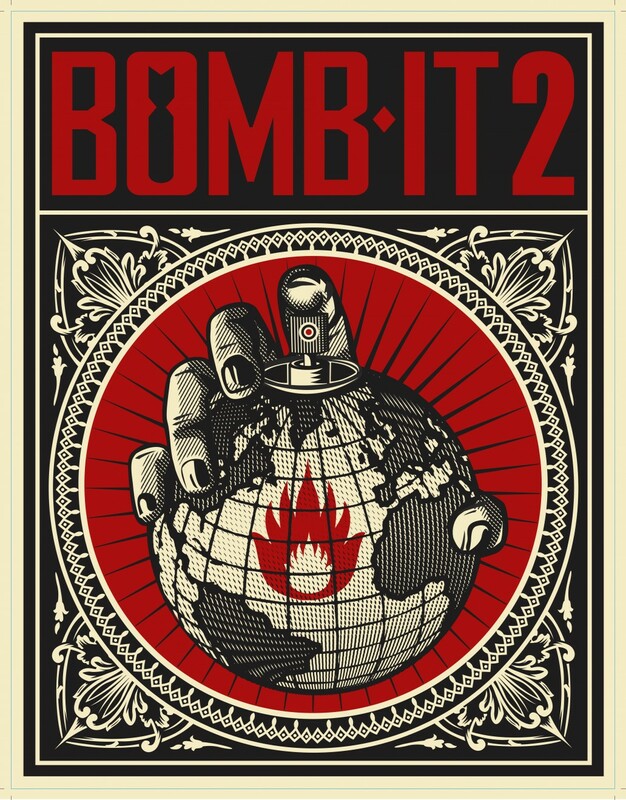 San Francisco, CA, October 4, 2011 - Join The Estria Graffiti Arts Festival as we bring you the movie Bomb It 2, screening for the first time in San Francisco at the Roxie Theatre, 3117 16th St, in San Francisco’s Mission District. The movie is part of “The Can Film Fest”, organized by non profit arts organization, The Estria Foundation, as part of their week long Graffiti Arts Festival taking place October 6-8. The movie Bomb It 2 is a sequel to the classic graffiti and street art film Bomb It, directed and produced by Jon Reiss. The one day movie festival will also include a series of interviews featuring street artists Doze Green, Poster Boy, and Miss Vans, produced by Friends We Love (friendswelove.com). This past year’s Honolulu Graffiti Battle video will also premiere at the screening, along with videos from the Estria Foundation’s international Water Writes mural series project. There will be two screenings, 6-8pm and 9-11pm, limited seating is available. Purchase presale tix for the movie here and receive a free Bomb It 2 poster > http://canfilmfest.eventbrite.com/ *Tickets will be sold at the door. You can also RSVP on FB. About Bomb It 2: The follow-up to Jon Reiss’s explosive graffiti movie Bomb It, which through interviews and guerrilla footage of graffiti writers in action told the story of the graffiti movement. Babelgum commissioned this exclusive sequel, which visits territory unexplored in the first film, including Tel Aviv, Singapore, Bethlehem, Copenhagen, Chicago, Bangkok, Hong Kong, Melbourne, Perth, Austin and Jakarta. Friends We Love (FWL) is an independent production company and web TV station founded by filmmaker Mike Vargas and multi-media artist Moni Vargas. Our mission is to CREATE, EDUCATE & CELEBRATE through the arts. Our programming seeks to inspire dialogue and self-expression with an emphasis on cultural exchange, community building and collaborations between our online and offline communities. We pride ourselves in high quality, socially conscious content that ultimately benefits the greater good.